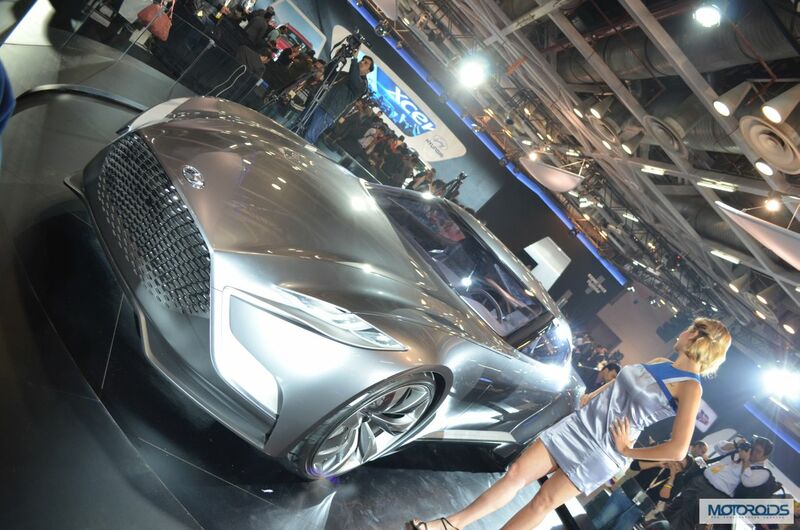 Hyundai showcased its HND-9 Concept at the 2014 Auto Expo. 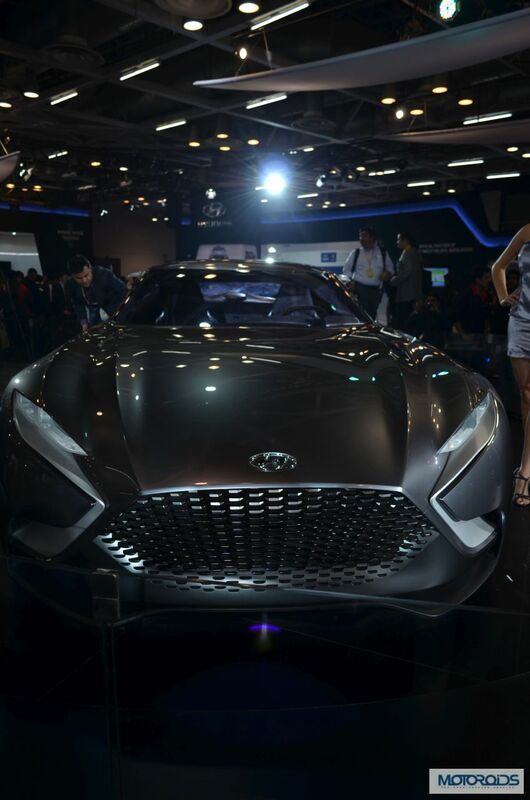 The concept, which first got revealed at the Seoul Motor Show is a true representation of Hyundai’s next generation design philosophy. 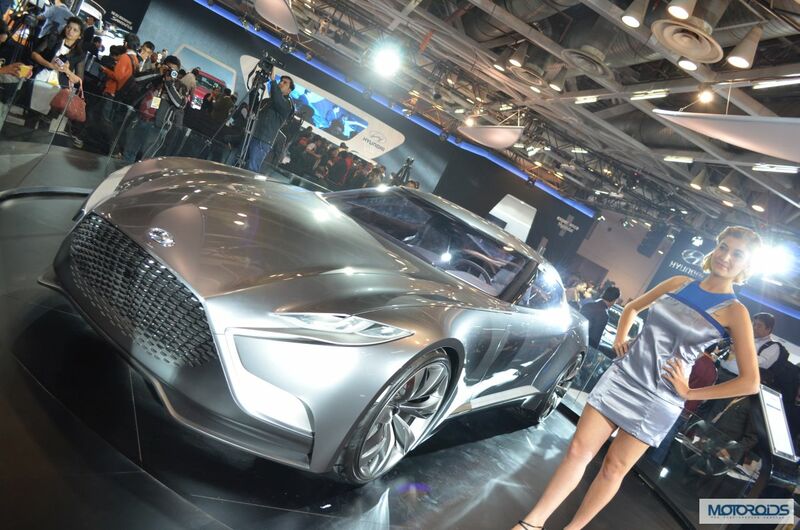 The HND-9 also represents what the future Hyundai sport cars would look like. 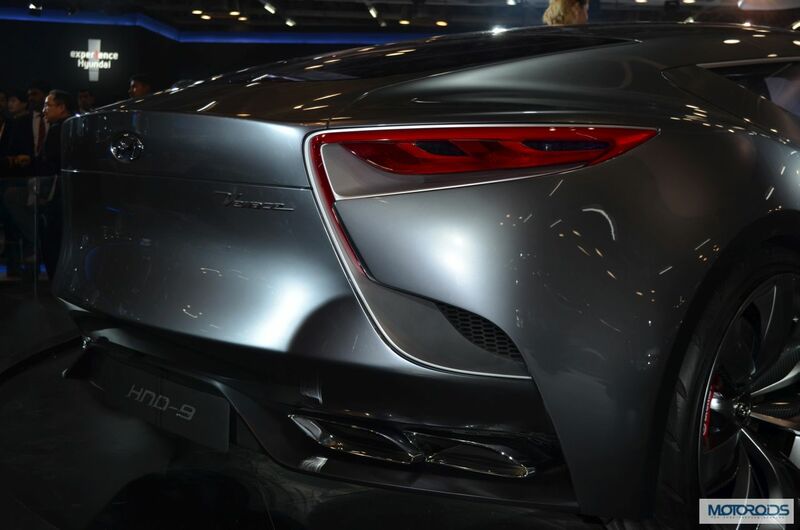 The HND-9 sports a design that is an evolution of the Fluidic Sculpture design language and the hexagonal front grill, butterfly doors, 22” alloy wheels and dagger like taillight are the concept car’s new design highlights. 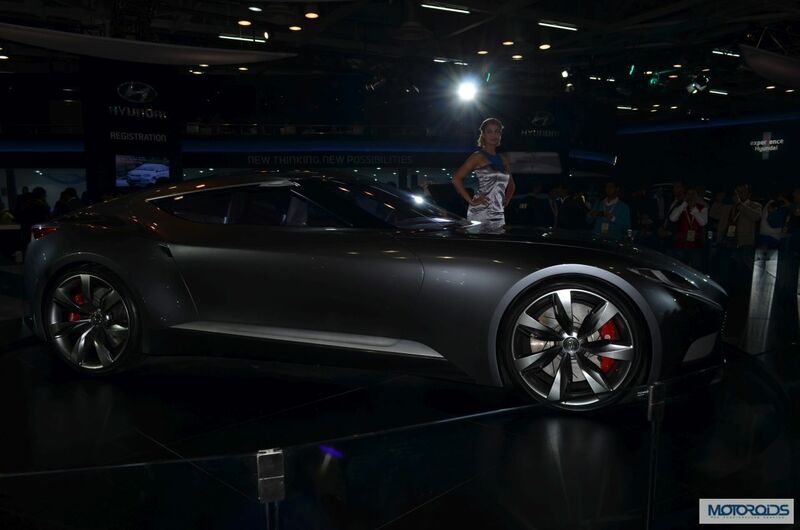 The Hyundai HND-9 Concept is meant to be powered by a 3.3 liter gasoline engine with direct injection technology. 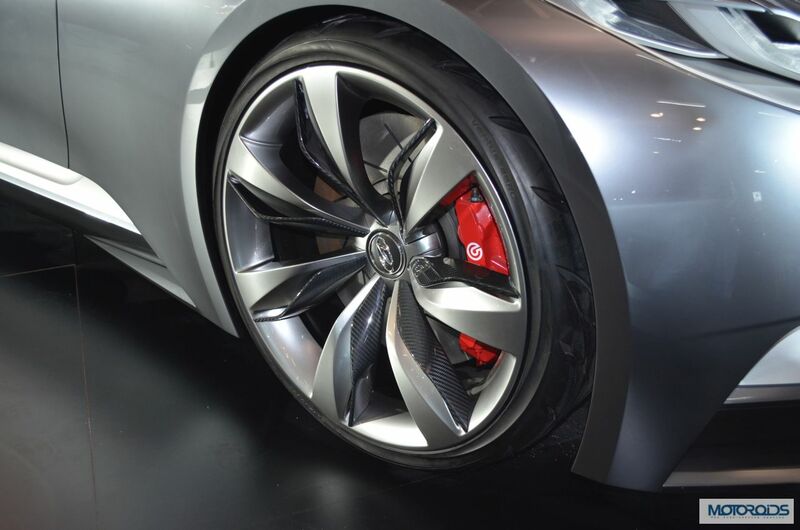 The RWD drive cars produces in excess of 360bhp. The engine is mated with an 8 speed auto transmission. The HND-9 features a bold and unique mesh grille, sharp, swept back headlamps and a muscular stance.